David A. Rosenbaum will speak on the “Cinderella of Psychology” on April 15. Illinois State’s Department of Psychology and the Institute for Prospective Cognition (IPC) will present a talk, titled “The Cinderella of Psychology,” with David A. Rosenbaum, Ph.D., at 2 p.m. Friday, April 15, in 551 DeGarmo Hall. 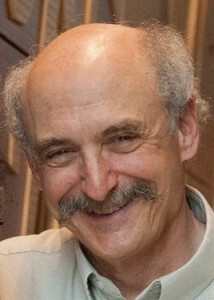 Rosenbaum is a distinguished professor of psychology at Pennsylvania State University. If you come to this talk, it will be a miracle! You’ll surprise yourself by going to a presentation on what sounds like the most boring topic ever: How you control simple motor acts like reaching for objects and walking through rooms. If you come to the talk, it will be a miracle in another way as well: What you’ll do to arrive at the lecture room, make your way to your seat, take off your coat, and sit down is something that no existing robot can do and probably won’t be able to do for a long time to come. Why has the study of motor control been a kind of Cinderella in psychology? You’ll hear about this, some things my colleagues and I have discovered in our attempt to marry motor control and (cognitive) psychology, and possibly leave with a fresh appreciation of the enormous intelligence that you and others bring to bear in even the simplest tasks. The Institute for Prospective Cognition is an international, interdisciplinary organization devoted to the scholarly investigation of the forward-looking nature of human cognition and the means by which it emerges and expresses itself within individual consciousness, group communication and cultural sustainment. This speaker series is sponsored by the Harold K. Sage Foundation and the Illinois State University Foundation Fund, as well as the Department of Psychology, School of Kinesiology and Recreation, Institute for Prospective Cognition, and the College of Arts and Sciences. To support the Department of Psychology and help enhance its educational mission with advanced teaching methods, guest speakers, and more opportunities for students to learn through research experiences, please consider making a gift to the department through the Illinois State University Foundation. If you need a special accommodation to participate in this program, call the Department of Psychology at (309) 438-8651. Please allow sufficient time to arrange the accommodation.